The nation of Hungary is situated in the very heart of Europe and is famous for its rich culture and history. While Hungary embraces some of the characteristics of neighbouring nations such as Romania, Slovakia and Serbia, it also has its own unique culture and history, which can be seen in the magnificent buildings of countries such as Budapest. Hungary also boasts several large lakes and rivers, which make the ideal settings for a camping holiday and guests will find a good number of luxury camping sites to choose from here. LUX-camp is happy to help you find the ideal campsite for you and your family. What Makes Camping in Hungary So Special? Nature lovers will really be in their element when they book a mobile home in Hungary. The nation features expansive plains that are scattered with traditional villages that are just waiting to be explored. Many of the leading luxury camping sites in the country are also located just a short drive from prominent cities such as Budapest and Eger and this make ideal destinations for culture vultures who want to experience the magic of these historical cities while staying in a stylish setting. Nature lovers are sure to enjoy staying in this part of Hungary and most of the leading site here can be found close to the shores of the large and lovely Lake Balaton. Naturally, this is a popular option among water sports enthusiasts and some of the activities that are just waiting to be tried here include canoeing and fishing. 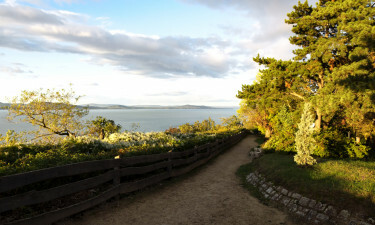 The area also boasts a large number of picturesque hiking trails that are just waiting to be explored by visitors. 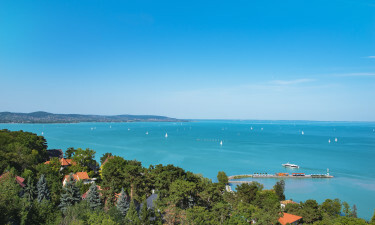 This impressive luxury camping site is set in the picturesque Balatonfüred region of the country. The campsite makes the perfect base to use while spending time messing about on the water of the large lake and hiking through the countryside. Lovers of luxury camping will also find that the site itself features everything they need to enjoy the camping holiday of a lifetime such as an excellent range of amenities and a vibrant bar and restaurant. Although Hungary is an entirely landlocked country, it still features a large number of impressive natural features that are just waiting to be discovered. People who enjoy exploring the Great Outdoors will also have plenty of opportunities to get to know the large and lovely Balaton Uplands National Park, which is situated just to the north of Lake Balaton. The Tisza and Danube rivers flow through the country and are also picturesque spots to unwind for a while and soak up the impressive backdrop of the Mecsek Mountains and the Villany Mountains. Hungarian cuisine is the pride of the nation and is typically spicy and full of flavour. Guests will have plenty of opportunities to sample traditional dishes such as goulash as they explore the country. Meat is the main staple of most dishes and popular kinds of meat include pork, venison and beef. 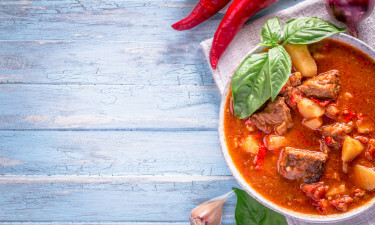 Paprika is the main spice that finds its way into Hungarian cuisine and some of the regional specialties that visitors should try include chicken in paprika sauce known as paprikás csirke and halászlé, which is paprika fish. These dishes are excellent when sampled along with locally produced wine such as Egri Bikavér and Tokaj. 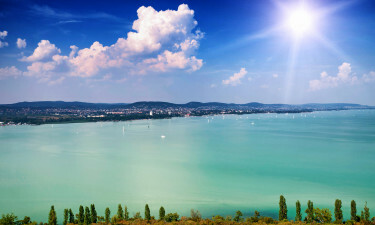 Hungary is blessed with a continental climate and summers tend to be hot and humid with winters that a cool with frequent snow. This means that any time of year is ideal for a luxury camping trip and visitors will have plenty of opportunities to explore the nation’s impressive city’s and abundant natural beauty.